730pm. July 26, 2011. 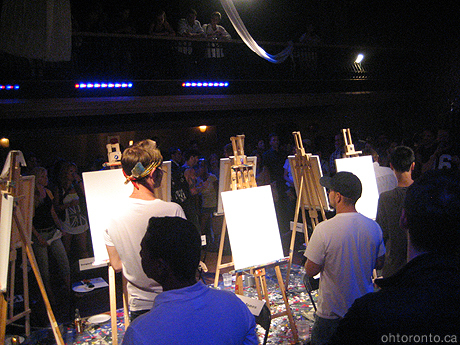 Art Battle 16 at The Great Hall. The AMC at Yonge and Dundas charges $6 for first-run screenings before noon. Best seats, best digital sound, best sight lines. Toronto, what charming FedEx employees you have!